Our Champions are role models to their players and in their communities. Our Champion Development Program focuses on promoting their health and well-being, teaching them vital skills in knowing themselves, how to relate to others, and how to manage conflict, stress, and hardship. Sport is not only fun, but it offers a powerful analogy for life. 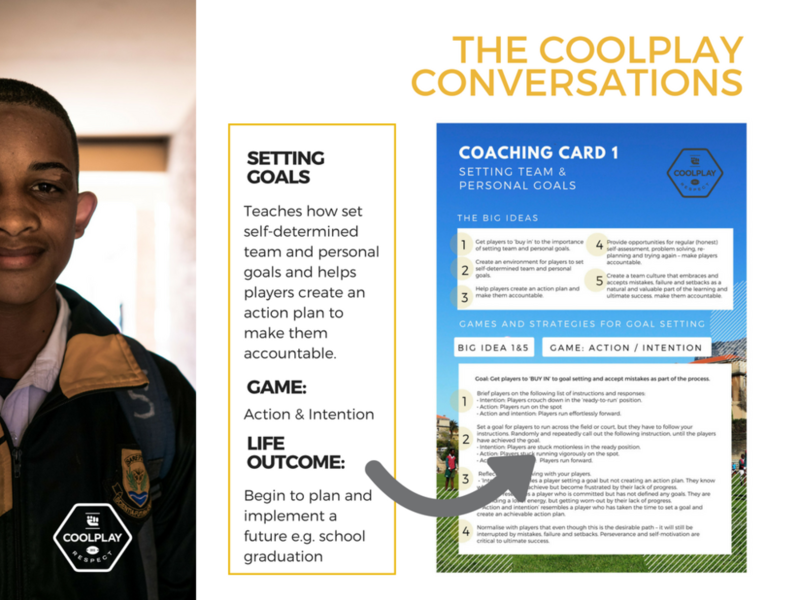 CoolPlay constantly strives to enable players to transport the CoolPlay conversations they learn on the sports field into their lives. Thus each training session has a sports coaching objective and a life skill objective, which are closely related so that the sport can be used to demonstrate the life lesson. In practice, each session is 85 minutes long: 55 minutes of sport and 30 minutes of life skills, broken into 3 x 10 minute sessions strategically placed within the practice.